With lush green hills and a coolish climate (making it very pleasant place to visit) Yaounde is like no other capital city in West Africa. It also has warm friendly people who goes out of their way to help you, and abundance of attractions. Here we recommend you 15 Yaounde Activities the next time you visit. First of all, mixture of traditional and western foods head to “Sintra restaurant” to enjoy their full menu. Besides the fact that sit on terrace, with coffee, you can watch peoples pass you by and start the day. Second, for a good introduction to city’s art history and culture, head of Cameroonian Art Museum. A visit to this museum is also a part of Outdoor activities in Yaounde. He has an amazing collection of pottery, masks, and wooden and bronze sculptures. Make sure to check out some of the nearby souvenir shops to buy a replica of your favorite art work. Third Outdoor Activities in Yaounde you have The Mvog-Betsi Zoo, a great way to get up close to Cameroon’s wildlife. The best zoo in West Africa, Mvog-Betsi Zoo is rule by the British non-profit Cameroon Wildlife Aid Fund. Further, almost all the animals have been rescue from the bushmeat trade and poachers. 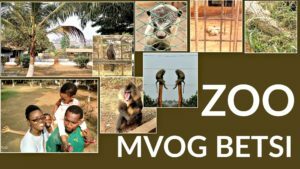 You can also see exotic birds, lizards, snakes, hyenas and lions at Mvog-Betsi Zoo. In the first place, explore Mfoundi Market one of the largest markets in Yaounde base in city center. Vendors sell from clothing to food and its a great place to get a taste of how locals do things. In addition, enjoy a Traditional food with La Forêt Dense restaurant. Even though is bit pricey compare to other traditional restaurants its sure you will have best service. The restaurants setting is beautiful and upscale, with menu and all traditional favorites including “Ndole” and “Crocodile Mbongo”. Here you can visit “Benedictine Monastery” base on the slope of Mount Febe one of Yaounde most popular tourist attractions. The religious institution has a museum which has a wide variety of Cameroonian traditional art collections. In the same way, going to church outside at NDzong Melen Church. The amazing thing here is this tradition which happens every sunday “The open-air mass” which takes place outside . Even though the service is in Ewondo, you definitely enjoy the amazing drumming, dancing and choral music. Don’t forget to put on your Sunday best dress to fit in with the locals. In this sector you can have fun by going out and buy souvenirs at ” The craft center. This government-run establishment is a great place to pick up a bargain on some local traditional art. Moreover as a second activity in this sector you have the amazing view of “Afhemi Museum”. Collection of more regional artwork, this is a private residence that has friendly tours if you call in advance. Owners often invite guests for lunch and you will discover amazing works of art that are more than 900 years. As an illustration the artworks including ritual and ceremonial masks, statues, and royal beds are rich in tradition. At the end for this section visit “The Blacktitude Museum” Open in 2000, is an ethnographic museum in Yaounde. 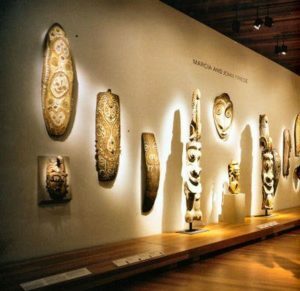 The museum launch to preserve the remains of the artistic heritage in Cameroon. For this reason, member of the royal family carefully protected and preserved the collections of art objects. Different from other activities, here you just need to put your shoes and dance all night away at “Safari Club”. This club plays it all, is usually pack with locals who are looking for a good night time out. In reality after the party you will feel hungry nothing better than enjoying the early morning pastry. From variety of freshly goods with delicious light meals “Select Plus Bakery” is definitely the best bakery which worth trying. Treat yourself to a croissant and coffee on the go, or take a seat and enjoy popular burger and pizza. 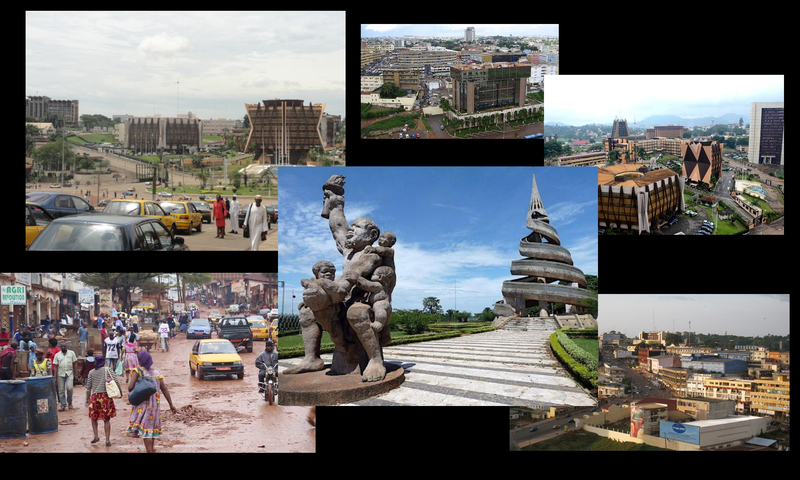 Generally speaking we have a lot of things you can do in Yaounde after all these mentioned above. In effect, you can do a trip To “Lobeke National Park” base in the Congo Basin. This amazing national park is on the border between the Central African Republic and the Republic of the Congo. You’ll be able to spend the night, go on walks, and see amazing birdlife. 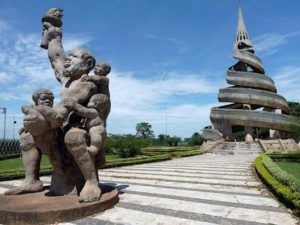 Second, you can check out the “Reunification Monument” in Yaounde which represents the union of Cameroon in 1984. Cameroon was rename from The United Republic of Cameroon to The Republic Of Cameroon. Thirdly watch soccer at “Sport Palace” if you’re lucky to be in this city when a soccer match is schedule. Cameroon is a soccer-crazy nation, fans head to Sport Palace to watch their favorite team in their thousands. I have to show appreciation to you for bailing me out of such a circumstance. Because of searching throughout the the web and obtaining principles that were not powerful, I believed my entire life was done. Existing devoid of the solutions to the difficulties you’ve fixed all through your good posting is a critical case, as well as the ones that could have adversely damaged my entire career if I hadn’t encountered the website. Your own personal capability and kindness in touching a lot of stuff was helpful. I’m not sure what I would have done if I hadn’t discovered such a point like this. I am able to at this moment relish my future. Thank you so much for your professional and effective guide. I will not be reluctant to propose your web sites to any individual who should receive assistance on this subject matter. My wife and i were very relieved when Ervin managed to round up his investigation via the ideas he had out of your blog. It’s not at all simplistic just to always be freely giving tips the rest may have been making money from. And we already know we have got the blog owner to thank for that. All the illustrations you’ve made, the easy site menu, the friendships your site make it possible to engender – it’s got all sensational, and it’s really assisting our son in addition to the family know that that situation is exciting, and that’s wonderfully indispensable. Thanks for the whole lot! Thanks a lot for giving everyone a very spectacular opportunity to check tips from this website. It is usually so sweet and stuffed with fun for me and my office mates to visit your blog more than 3 times weekly to see the newest tips you have. And of course, I am just always satisfied for the fantastic points you serve. Some 3 facts in this article are clearly the very best we’ve had. I not to mention my friends were found to be following the nice tips and tricks from your web blog and then unexpectedly came up with a horrible suspicion I never thanked the web site owner for those strategies. My men had been certainly passionate to learn all of them and already have absolutely been loving these things. Appreciation for simply being very considerate and then for making a choice on these kinds of essential resources most people are really desperate to understand about. Our honest apologies for not expressing appreciation to you earlier. Thank you for every one of your effort on this blog. Debby enjoys engaging in investigations and it’s really obvious why. Most people hear all relating to the compelling mode you offer sensible information via your website and as well attract response from visitors on this issue while our own child is truly discovering a lot of things. Enjoy the remaining portion of the new year. You are always carrying out a terrific job.